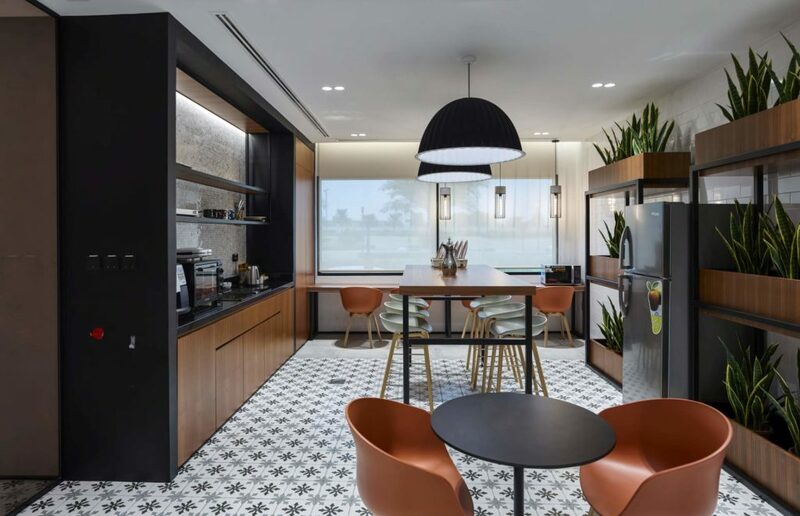 When TECOM decided to renovate their Management offices in Dubai Knowledge Park, Swiss Bureau Interior Design were commissioned to create a contemporary space that was reflective of the future vision of the TECOM group. 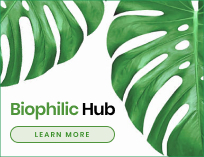 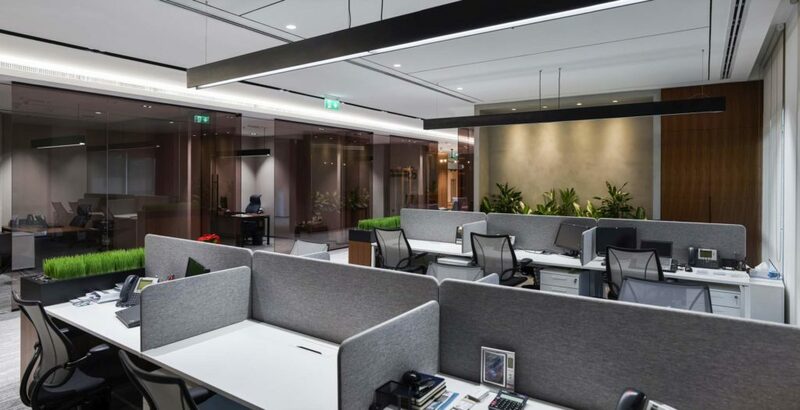 It was crucial that wellbeing principles were included, and so larger windows were added to introduce more daylight, and plants placed at focal points in line with biophilic principles. 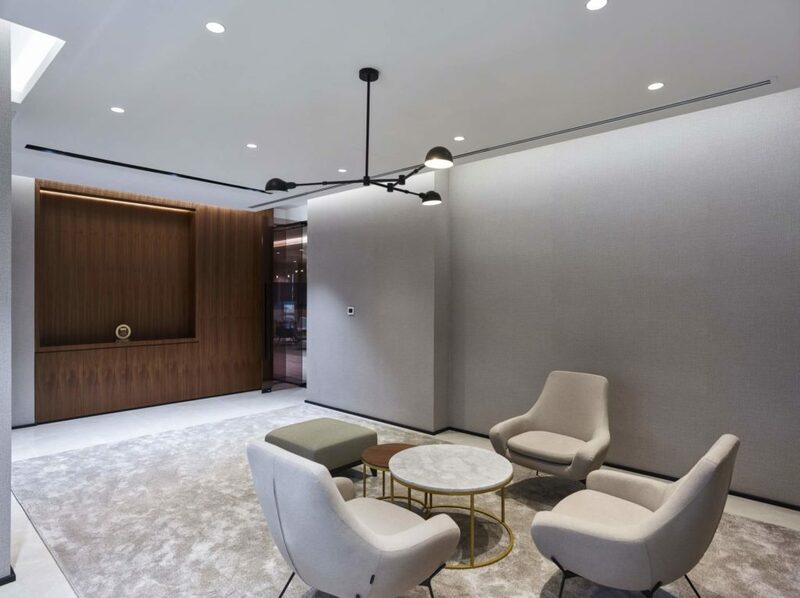 The central space needed to function as a reception area in addition to being an office, and the challenge was to accommodate both in the right proportion. 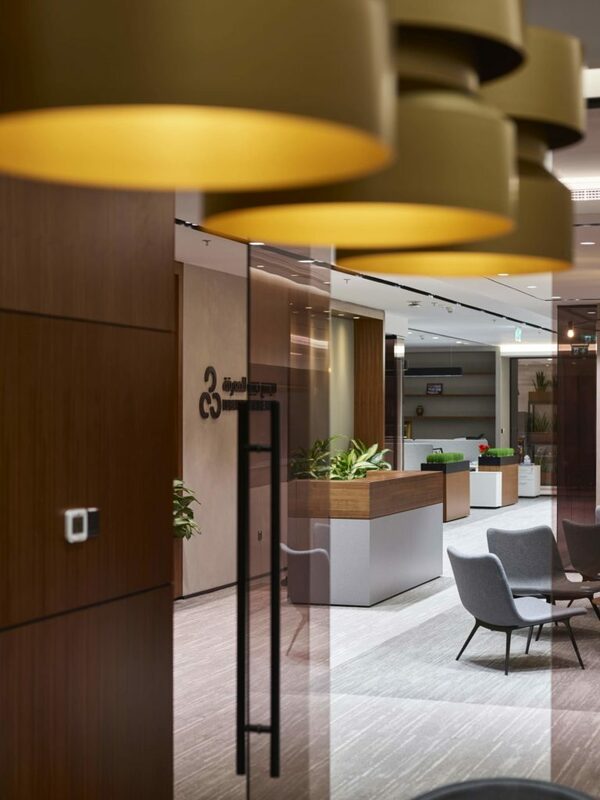 The reception/lounge area features a wall that integrates the company logo, and further sections out into a Meeting Zone and Main Office Zone. 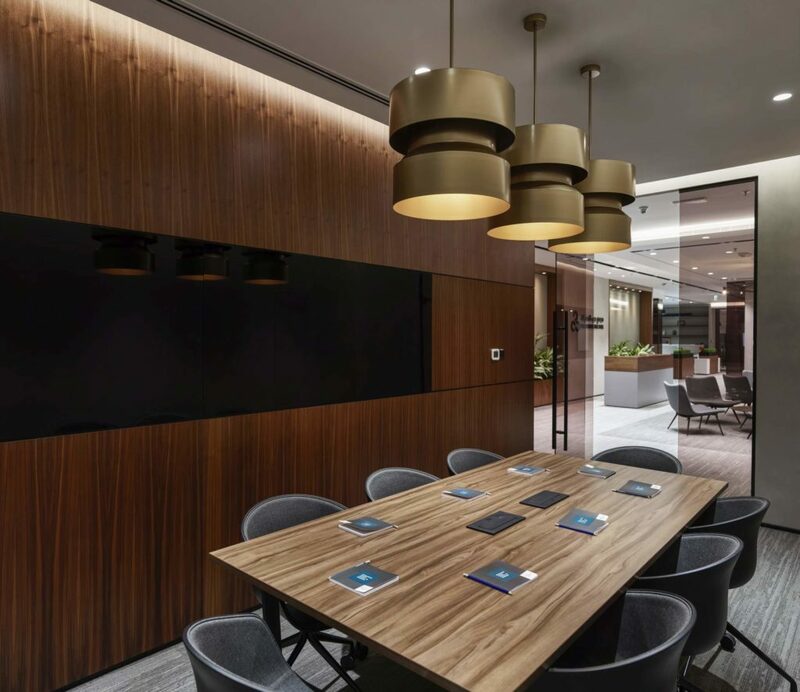 The former is subdivided into several meeting areas and a Majlis, which is defined by wood panelling and metal lighting features, while the latter encompasses an open workstation and a breakout area along with a pantry, both highlighted with accent colours to exude a lively atmosphere. 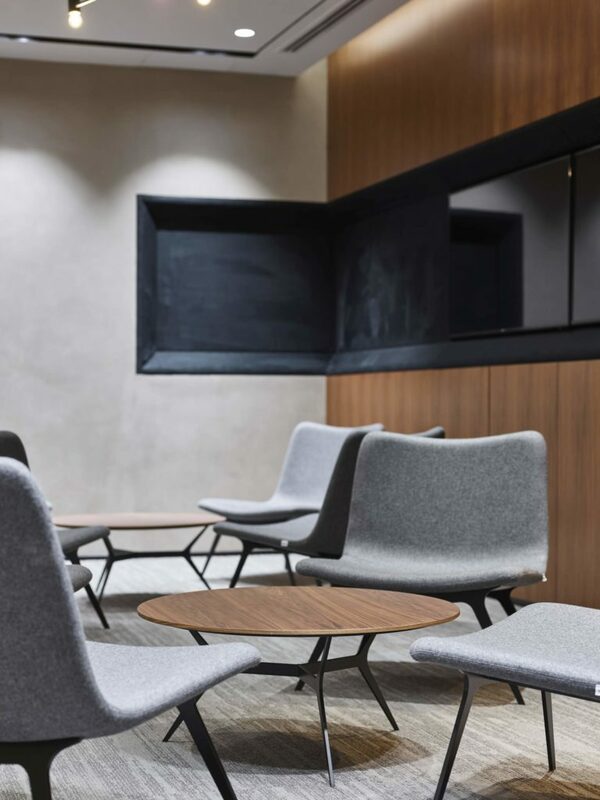 Varying textures feature througout, while grey tones and rich deep wood form the base colour palette. 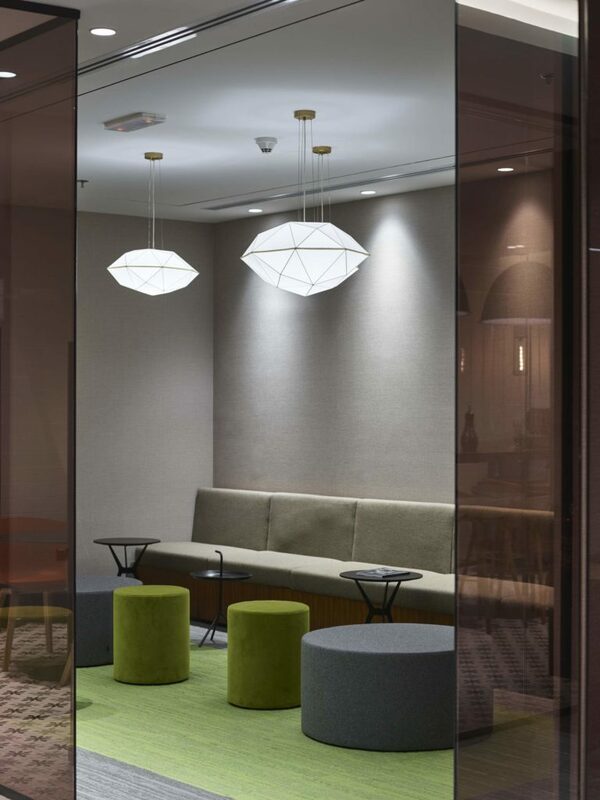 Tinted glass partitions were also used instead of clear glass, with a dual intent to maintain privacy yet create an impactful design. 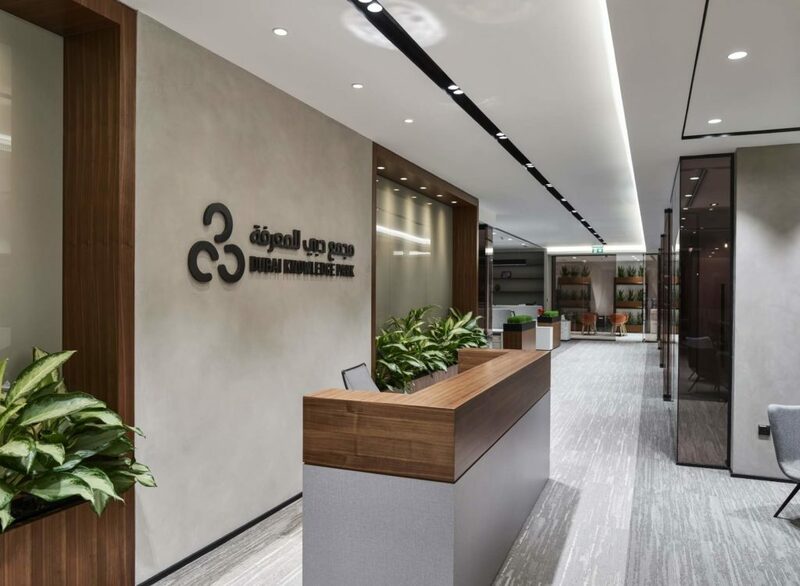 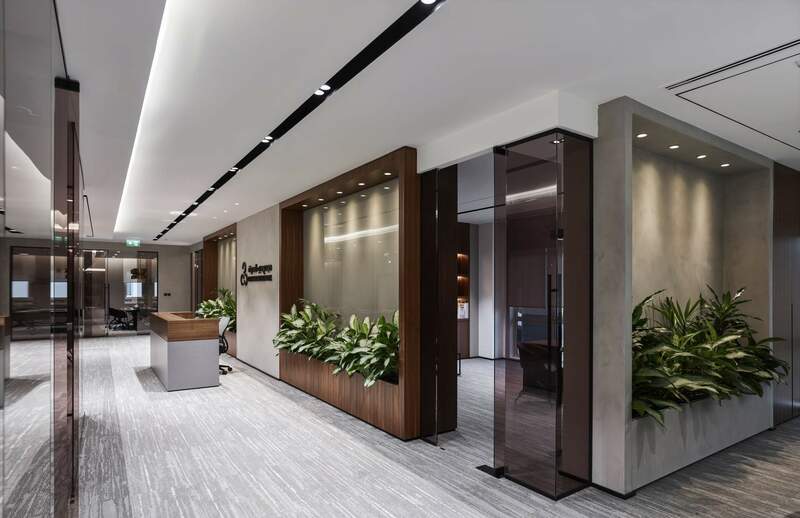 A combination of soft and hard flooring were incorporated to create transitions within the different zones, with carpet flooring in the open workstation areas and meeting rooms, loose rugs in the Majlis, and patterned tile flooring in the pantry. 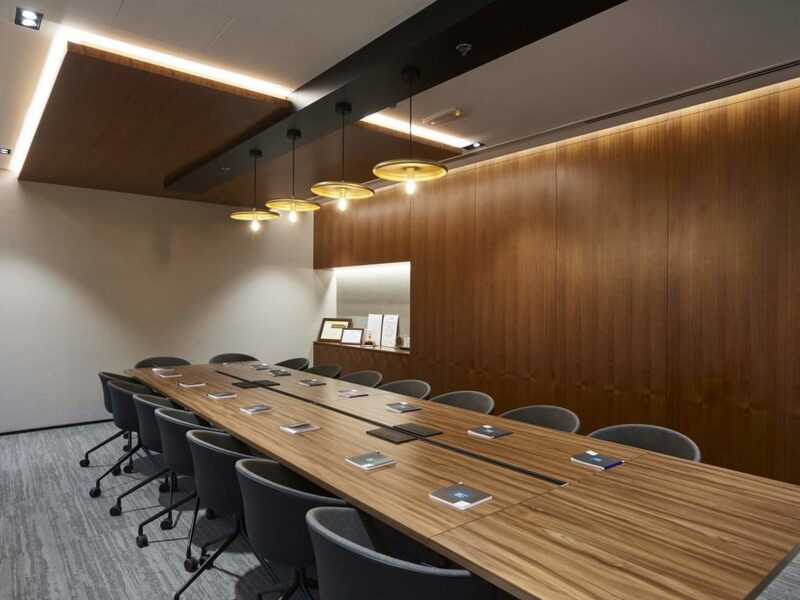 Finally, linen textured wallpaper and concrete finish were used for the walls to create interesting contrast, pulling together the overall design.